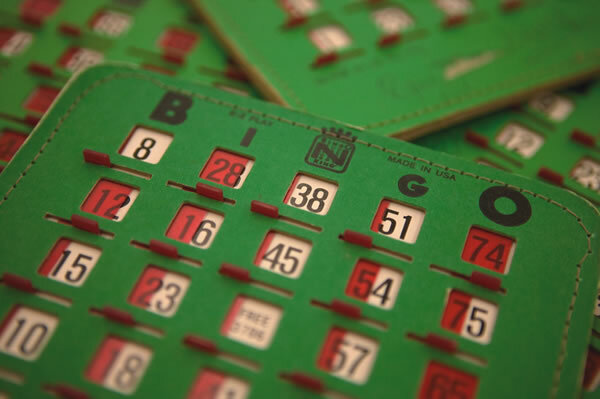 For more than 50 years, guests have been playing bingo at The Cloister at Sea Island. But bingo night is about more than games—it’s about families, tradition and making memories. Jack Jenkins weaves through tables filled with colorful cards, cocktails and mocktails, and fierce competitors, drawing an electric energy from the crowd before making his way back to the front of the ballroom. “Rattle the sack, Jack! Shake the bag!” the crowd roars. The illustrious Jenkins abides—shaking and churning the purple bag before reaching in and plucking out one of the 75 balls. With all eyes glued on him, the 500 guests sit at the edge of their seats waiting for Jenkins to reveal the next number. After what feels like an eternity, Jenkins calls, “A couple of ducks! I-22!” On cue, the audience erupts into a chorus of whimsical quacks as guests scan their cards hoping to find the number 22. But the game has changed a little since its early days at The Cloister. Strother mentions a slight shift in bingo’s dress code through the years. What was once a very formal affair has relaxed somewhat with the more casual dress trends of today. Gentlemen (and boys older than 12) wear jackets and collared shirts, younger boys wear collared shirts and slacks, and women of all ages don dinner attire. Another change came in 1989 when Jack Jenkins, also known as Billy Bingo, joined the resort crew and infused a bit of Las Vegas glitz into the event. 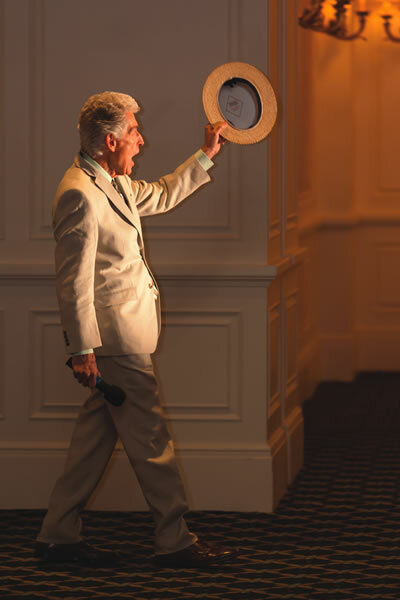 Today, players can count on Jenkins for an outrageously entertaining opening number featuring him dressed as Elvis Presley, Uncle Sam or Tim McGraw, and an evening brimming with spirited competition and lots of audience participation. He calls out each number with great panache, using fun nicknames and silly accents to identify some of the bingo balls. A night of bingo consists of six games with each one becoming more interesting and challenging than the last, as players create intricate patterns using the sliding blinders on their cards. And according to Drayton, players who call bingo by mistake, referred to as a “bungo,” can expect plenty of friendly chiding from the audience, followed by a steep, humiliating fine of $1. Bingo at The Cloister is an evening filled with feel-good fun, philanthropy and fanfare. A few lucky guests will collect jackpots ranging from $50 to $750, and the proceeds benefit the local United Way. During the last game, vanilla wafers, gingersnap cookies and ice-cold milk are served, and when the games are over, disc jockey Tommy Tucker fires up the music and guests hit the ballroom floor for some lively line dancing. Bingo is played at 9 p.m. on Tuesdays and Thursdays during the summer months and holidays. Reservations are required. Cards cost a mere $3, and yes, guests can buy as many as they want. Bingo at The Cloister has its own language and cues for audience participation. Thinking about trying your hand at a game? Here’s a cheat sheet with some of the ball code names and their associated responses.